Do you need someone to manage your annual review from creative ideas through writing and design to print? 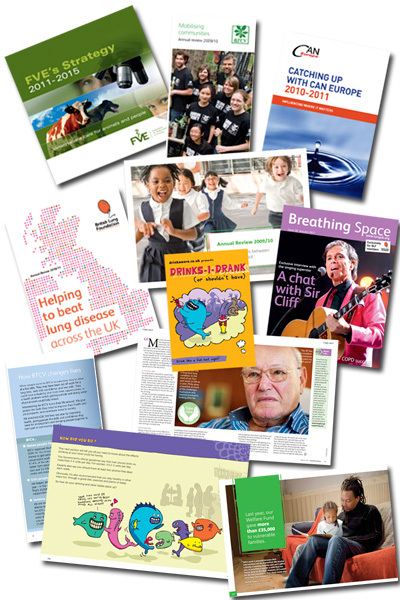 or case studies for your charity’s newsletter or website? Or an editor to turn a dense, jargon-filled report into impactful, readable text? I can meet all your charity’s editorial needs, no matter how big or small. The end result of working with me? The very best copy and publications in the third sector – guaranteed.